Making BaByliss for men your preferred choice when it comes to shavers and stubble trimmers is a great decision. This brand has a reputation of manufacturing some of the best male grooming appliances on the market. However, their long line up of i-Trim shavers can leave any buyer confused over which model to select. For those trying to choose a beard shaver or stubble trimmer from BaByliss for Men, the 7847U i-Stubble should definitely be one of the top choices to consider. 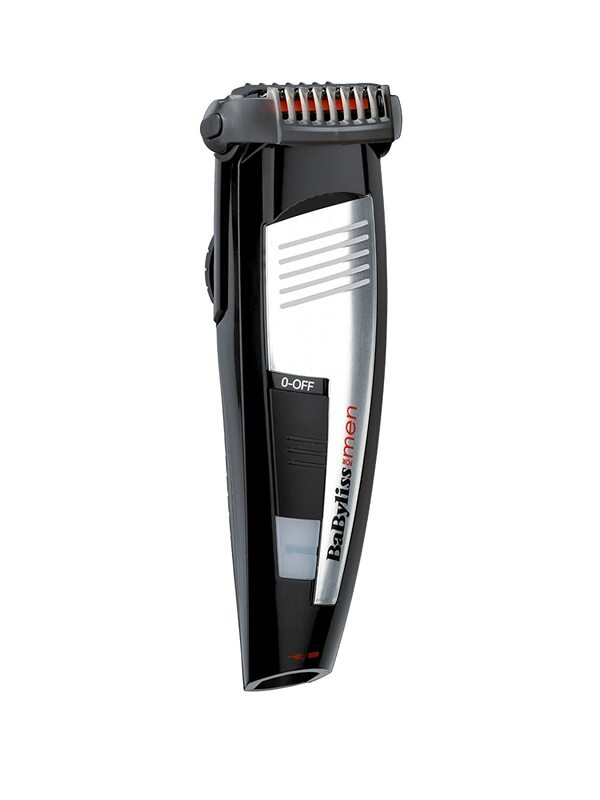 The BaByliss for Men 7847U i-Stubble trimmer offers plenty of features designed with end users in mind. This review will highlight all the features of the i-Stubble as well as the pros and cons to expect should you choose to purchase this mens’ grooming appliance. Whether you want to maintain a short shadow look, longer stubble, or a well-groomed full beard, this product can help you style your facial hair in many ways. Much of this can be attributed to the trimmer’s good range of cutting lengths. You can adjust the blades to cut hair at 30 different length settings, starting from 0.5 mm to 15mm. With the precise dial control, the comb guide can be adjusted with precision at increments of 0.5 mm. When you want to outline the edges of your beard, simply remove the guide comb to trim up the lines. Designed to operate on rechargeable batteries or direct power from a wall socket, the 7847U i-Stubble BaByliss for men gives users flexibility of use. If you want more freedom of movement, simply charge the battery and trim your beards on cordless mode. The battery life can last 6 to 7 quick shaves when fully charged. This means that you don’t have to charge it after each use, although this will obviously depend on how often and long you usually shave. When using the trimmer directly from a wall socket, the 1.8 m cord still offers a generous range of movement. Unlike other electric shavers that require frequent oiling, the i-Stubble features an auto-lube system. As such, this trimmer requires very little maintenance to keep it in great working condition. Every package also comes with a cleaning brush for removing hairs that accumulate on the trimmer over time. An added advantage that makes cleaning easy is the fact that the i-Stubble is washable. All you have to do to keep the trimming head free of hairs is rinse it under running tap water. Compared to shaving appliances from other brands in the market, the i-Stubble is pretty solid and light in weight. This makes handling easy when holding the device. Its soft buzzing motor allows you to have a conversation with someone while shaving without having to raise your voice. If you’re looking for a stubble or beard trimmer that simplifies your grooming toolkit, then the BaByliss for men 7847U i-Stubble trimmer is the way to go. This grooming appliance lets you style your facial hair at the turn of a dial with 30 different cutting lengths. Overall, it’s a great value trimmer given its ease of use, flexibility and long list of features.